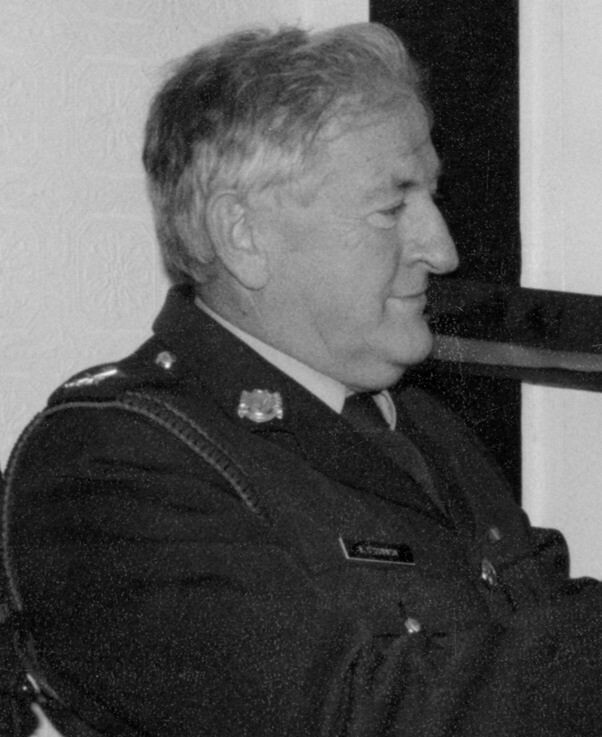 ARCO regrets to inform its members of the death of Colonel Michael (Mick) Walsh, former Director Medical Corps, of The Grove, Celbridge, County Kildare and formerly of Bohola, County Mayo, on 2nd March 2017. Predeceased by his wife Maureen and son Luke. Beloved father of Maire, Stephen, Paul, Deirdre and Emer and daughter-in-law Karen. Sadly missed by his sons and daughters, brothers Frank, Sean and Kevin, brothers-in-law Tom & Patrick, his adored grandchildren Ronan, Jack, Brian, Luke & Tom, extended family and many friends. Reposing at Coen’s Funeral Home, Tubbercurry, Co. Sligo on Friday, 3rd March, from 4pm until 7pm, with removal to the Church of the Holy Rosary, Kilmactigue, Aclare, Co. Sligo arriving at 8pm. Mass of the Resurrection on Saturday, 4th March, at 12pm with the funeral proceeding to Kilmactigue Cemetery. ARCO regrets to inform its members of the death of Colonel Martin Coughlan of Beechgrove, Oranmore, Galway and Geashill, Offaly on Saturday, 25th February, 2017. Predeceased by his brother Commandant Larry Coughlan and sister Anne. Beloved husband of Beatrice and much loved father of Kieran, Gráinne, Clodagh and Nicola. Sadly missed by his wife, son and daughters, brothers Eddie and Brendan, sisters Mary and Margaret, son-in-law Brian, daughter-in-law Donna, his adored grandchildren James, Christian, Clara and Adam-Martin, extended family and many friends. Reposing at Tearmann Mhuire within the grounds of the Church of The Immaculate Conception, Oranmore, Co Galway on Tuesday 28th February from 5.00 p.m. to 7.30 p.m. Requiem mass at 12.30 p.m. on Wednesday 1st March followed by burial in Renville Cemetery. ARCO regrets to inform its members of the death of Colonel Thomas (Tommy) Dunne of Clogheen, County Cork. On April 25 2018, unexpectedly at Cork University Hospital, after a short illness. Dearly loved husband of Rose (nee Prior) and much-loved father of Aibhlin, Liam, Seán and Tomás. Sadly missed by his loving wife and family, brothers Liam and Seán, sister Marie, son-in-law Pádraig, daughters-in-law Suzanne and Róisín, cherished grandchildren Sadhbh, Ríon, Thomas, Jamie and Caoimhe, sisters-in-law, nephews, nieces, relatives and friends. Tommy was a member of 26 Cadet Class, 1951-1953, and served mainly in Collins Barracks Cork and in the Southern Command area. 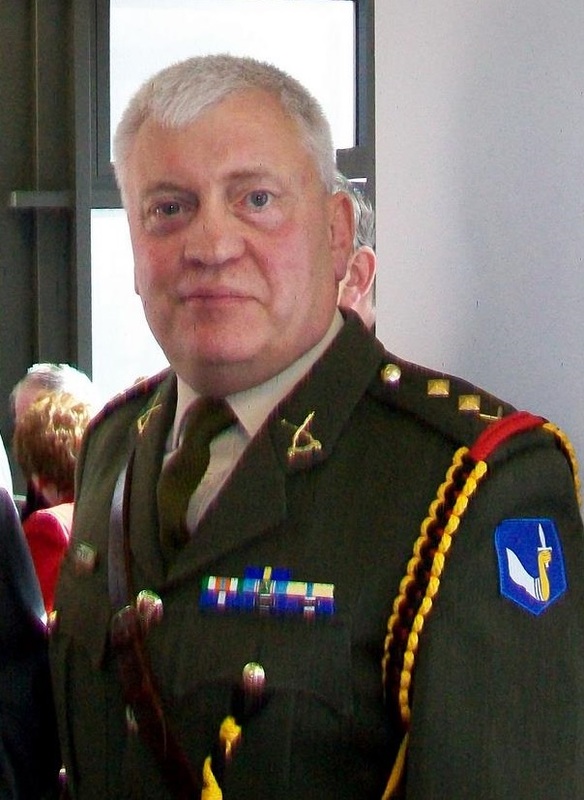 His son, Lieutenant Colonel Seán Dunne, is currently Adjutant 1 Southern Brigade. Lying in repose at the Wilton Funeral Home, Sarsfield Road, of Jerh O’Connor Ltd., on this Sunday evening from 2 pm to 4 pm. Reception prayers on Monday at 11.15 am at the Church of the Most Precious Blood, Clogheen, followed by Requiem Mass at 12 noon. Funeral afterwards to the Island Crematorium, Ringaskiddy. Family flowers only. ARCO regrets to inform its members of the death of Colonel Henry (Harry) Quirke, of French Furze Grove, Kildare Town, County Kildare. Peacefully, on 25th February 2019, at Beaumont Hospital. Sadly missed by his loving wife Emer, son Eamonn, daughter-in-law Maria and grandchildren Henry and David, extended family, relatives and friends. Reposing at his residence, 11 French Furze Grove, Kildare Town on Wednesday 27th February from 3 pm until 8 pm. Funeral Mass in Saint Brigid’s Garrison Church, Curragh at 12 noon on Thursday followed by burial in Saint Conleth’s Cemetery, Kildare Town. Family flowers only please. Donations to the Irish Kidney Association. ARCO regrets to inform its members of the death of Colonel Henry (Harry) Crowley, a former Vice President of the Association, of Little Connell, Newbridge, County Kildare and formerly of Killeigh, County Offaly. On 23 October 2017 (in his 96th year) peacefully, with his loving family by his side. Predeceased by his wife Carmel (Charmie), brother Lieutenant Colonel Seamus and sisters Ann and Mary (Fahey). Devoted and loving father to Henry, Paul and Ruth. Harry will be sadly missed by his sons and daughter, sister Kathleen (Foley), daughters-in-law Anne and Helen and son-in-law Declan, his adored grandchildren Shane, Harry, Leanna, Emer, Doireann, Oscar, Adam and Laura, his nieces, nephews, grandnieces, grandnephews, neighbours, former colleagues and many friends. Reposing at his residence on Wednesday from 2 pm with Removal at 6 pm to arrive at St. Conleth’s Parish Church, Newbridge at 6.30 pm. Funeral Mass on Thursday morning at 11 am. Burial afterwards in St. Conleth’s Cemetery, Newbridge. Family flowers only please. Donations, if desired, to the Friends of St. Brigid’s Hospice, The Curragh. ARCO regrets to inform its members of the death of Colonel Seán Mac Niocaill, (See Nicholson on www.rip.ie) of Stillorgan, County Dublin and formerly of Athgarvan, County Kildare, on August 17th, 2018. Peacefully, surrounded by his loving family at Blackrock Hospital. Dearly beloved husband of Kathleen and much loved father of Séamus and Bríd. He will be very sadly missed by his loving wife, son, daughter, son-in-law Mark, granddaughter Emma, family and friends. Seán was a member of 25 Cadet Class (1950-1952) and was commissioned in November 1952. He served in the Congo as a Captain Support Platoon Commander with 2 Infantry Group from October 1963 to May 1964. This was the last Permanent Defence Force unit to serve with ONUC. He also served with UNFICYP in Cyprus and with UNTSO (including UNDOF) in the Middle East. He commanded 49 Infantry Battalion (May to October 1981) in the Lebanon and was later Irish Contingent Commander with UNIFIL. At home he served in the Southern Command and was Officer Commanding 12 Infantry Battalion and Sarsfield Barracks, Limerick. He also served in Defence Forces Headquarters and Eastern Command where he was Officer Commanding 2 Infantry Battalion and Cathal Brugha Barracks, Dublin. Reposing at Patrick O’Donovan and Son Funeral Home, Sallynoggin (Opposite Sallynoggin Church) this Sunday from 1pm until 4pm. Removal on Monday morning to the Church of Saint Laurence O’Toole, Kilmacud, arriving at 9.50am. Funeral immediately after 10am Requiem Mass to Mount Jerome Crematorium. Family flowers only please. Donations to www.irishinjuredjockeys.com in lieu of flowers. Cremation private please. ARCO regrets to inform its members of the death of Colonel James (Jim) Mortell of Stamullen, County Meath and late of Charleville, County Cork. On 13 November 2018, peacefully, in the care of St Gladys’ Nursing Home, Harold’s Cross. Beloved father of the late Erika. Very sadly missed by his loving family, sons David and Alan and their mother Jennifer, daughters-in-law Yukie and Eimear, adored grandchildren Amélie and Will, brothers Michael, Philip and Brendan, relatives and a wide circle of Defence Forces colleagues and friends. Jim was a member of 33 Cadet Class 1959-60 and was posted to Collins Barracks, Dublin on commissioning. There he began a lifelong association with Eastern Command and Defence Forces Headquarters. 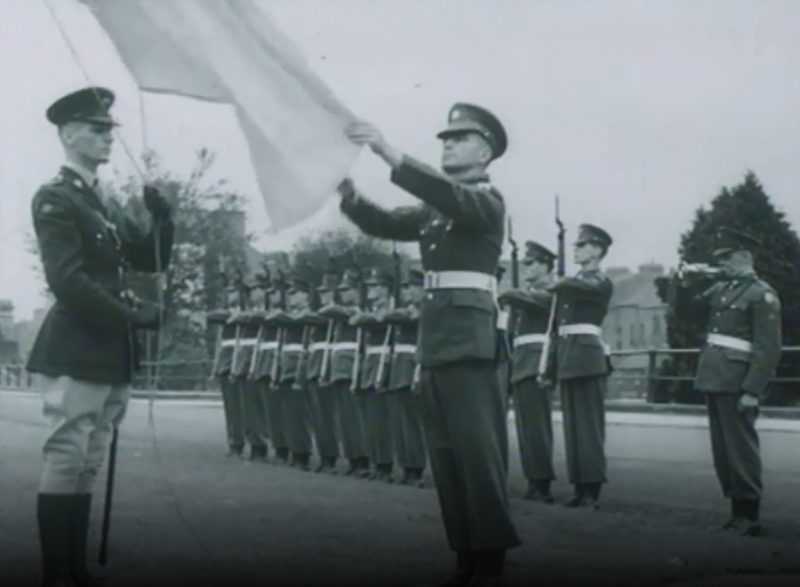 He was the lieutenant in charge of the flag ceremony in that barracks for the specially filmed version of the National Anthem broadcast on the opening night of Telefís Éireann on 31 December 1961. This was subsequently broadcast at the closedown of each day’s transmission until 1966. 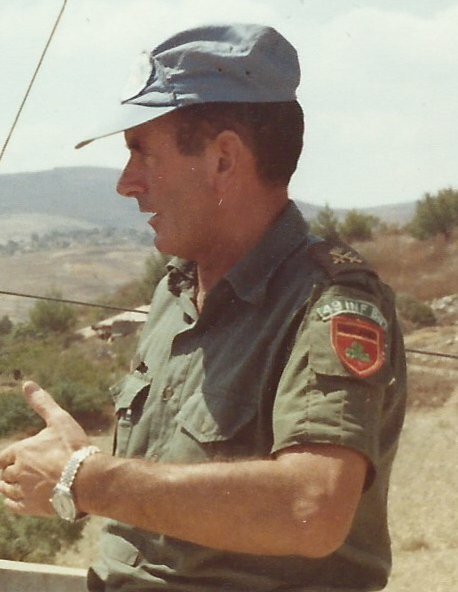 He served overseas with the United Nations in the Congo as Platoon Commander A Company 39 Infantry Battalion in 1963, as the Assistant Operations Officer 9 Infantry Group UNFICYP in Cyprus in 1967-1968, with UNTSO in 1973 during the Yom Kippur War, with OSCE in Vienna and with UNIKOM in Kuwait. 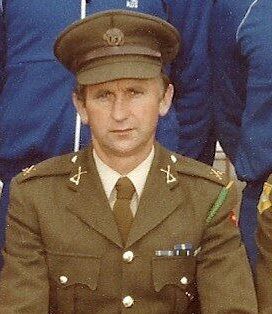 He was a member of the eight officer Defence Forces reconnaissance party that visited Lebanon in preparation for Ireland’s deployment to UNIFIL in May 1978 and subsequently served there with 64 Infantry Battalion. Reposing at Fanagan’s Funeral Home, Lower Kimmage Road on Friday afternoon (16 November) from 3.30 pm to 5.30 pm (with prayers at 5.15 pm). Removal on Saturday morning (17 November) to St Mary’s Church, Julianstown, County Meath arriving for Funeral Mass at 11 am and afterwards to Moorechurch Cemetery. ARCO regrets to inform its members of the death of Colonel Leo Dawson of Newbridge, County Kildare and late of Kilrush, County Clare, on 11th November 2017, peacefully, at Naas Hospital. Beloved husband of Frances. Sadly missed by his loving wife, children Áine, Jim and Michael, brother Seamus (Jim), sisters Assumpta, Patricia, Enda, Sr. Clare C.P., grandchildren Maebh, Ciara, Jim, Leo, Ben and Amy, daughters-in-law Mary and Avril, son-in-law Finn, nieces, nephews, relatives and friends. Leo was a member of 21 Cadet Class (1948–1950); he was commissioned in May 1950 and appointed to 1 Armoured Car Squadron. He was Director of Cavalry from 1983 to 1984 and retired as Deputy Adjutant General in 1988. Leo served overseas with the Armoured Car Groups of 36 and 37 Infantry Battalions in the Congo, in Cyprus with 41 Infantry Battalion and 11 Infantry Group, and was Military Assistant to the Force Commander, UNIFIL, in 1984–1985. Leo’s brother, Lieutenant Colonel Jim Dawson, served with the Artillery Corps and his two sons followed his footsteps into the Defence Forces; Lieutenant Colonel James Dawson (Retd) (52 Cadet Class) served in the Transport Corps and Colonel Michael Dawson (57 Cadet Class) is Commandant of the Military College. Reposing at Anderson & Leahy’s Funeral Home, Newbridge on Monday from 1500 hours with Removal at 1800 hours to arrive at St Conleth’s Parish Church, Newbridge for 1830. Funeral Mass on Tuesday morning at 1100 with burial afterwards in St Conleth’s Cemetery, Newbridge. House Private Please. Family flowers only please. Donations, if desired, to St. Vincent de Paul, Newbridge. ARCO regrets to inform its members of the death of Colonel Hugh O’Connor, Friary View, Kildare Town, County Kildare and formerly of Kanturk, County Cork. 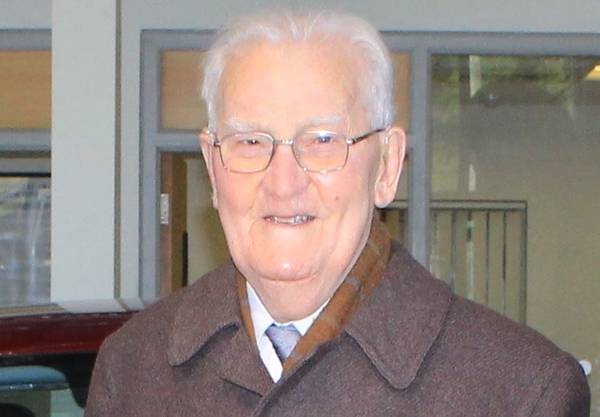 On 11th March 2019 after a short illness borne with great dignity, courage and humour, surrounded by his loving family and in the exceptional care of the staff of St. Brigid’s Hospice, The Curragh. Beloved husband of Eileen for fifty-eight years, dearly loved father of Hugo, Ann, David and Conor. Deeply missed by his daughters-in-law Fiona, Linda and Audrey and affectionately “Popeye” to his precious grandchildren Andrew (and wife Clíona), Alyson, India, Portia, Katie, Holly, Alex, Coco and Johnny, his extended family and many friends. Hugh O’Connor was born in Kanturk, County Cork in July 1934. He was a member of 28 Cadet Class and was commissioned in November 1955. 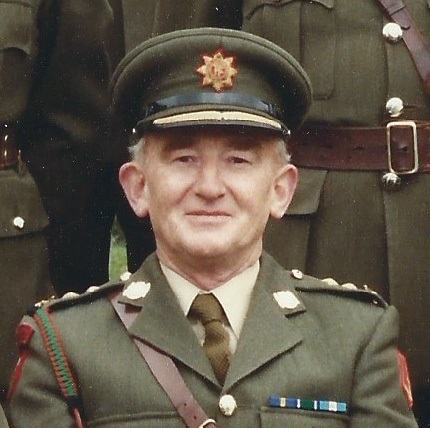 He served in the Cavalry Corps in 4 Motor Squadron, Depot Cavalry, 1 Motor Squadron and in staff appointments in Headquarters Curragh Command and in Defence Forces Headquarters in Training Section and in Planning and Research Section. He commanded 1 Armoured Car Squadron and was Officer Commanding Depot Cavalry. He was Director of Reserve Forces in 1992 and Director of Cavalry from December 1992 until his retirement in July 1994. Hugh served overseas in Cyprus in 1964 with the Armoured Car Group of 40 Infantry Battalion and later with 10 Infantry Group in 1968; he seved in Lebanon as the Reconnaissance Group Commander 45 Infantry Battalion in 1979 and as the commander of the Force Mobile Reserve in 1988/89. He was an observer in the Middle East with the United Nations Truce Supervision Organisation in 1973/74. Reposing at home from 5pm to 7pm on Tuesday, 12th March 2019. Removal from home on Wednesday, 13th at 1.30pm for 2pm Funeral Mass in the Carmelite Church, Kildare Town. Cremation Service at 3pm on Thursday, 14th in Mount Jerome, Harold’s Cross, all welcome. Family flowers only please. Donations, if desired, to Friends of St. Brigid’s Hospice, The Curragh.